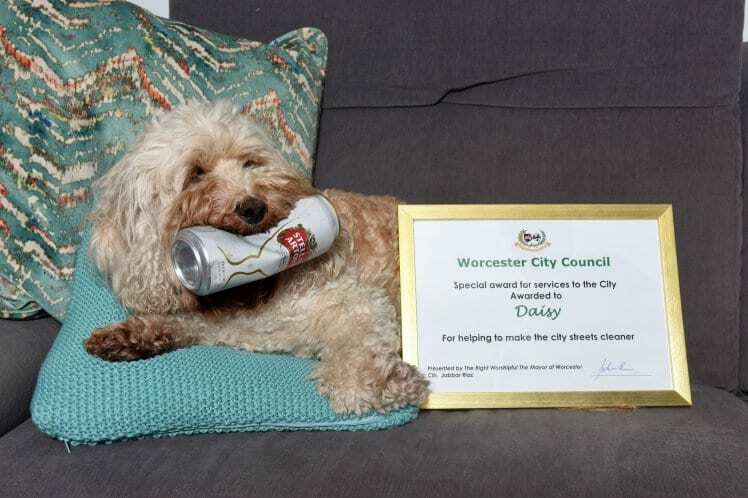 A dog has received an award for picking up a number of beer cans, coffee cups, and other pieces of trash, helping clean up her neighborhood in the process. It’s unclear if Daisy is aware of her service, but her help has not gone unnoticed, by any means. In fact, it is reported that the nine-year-old hound has picked up a staggering 5,000 pieces of trash. 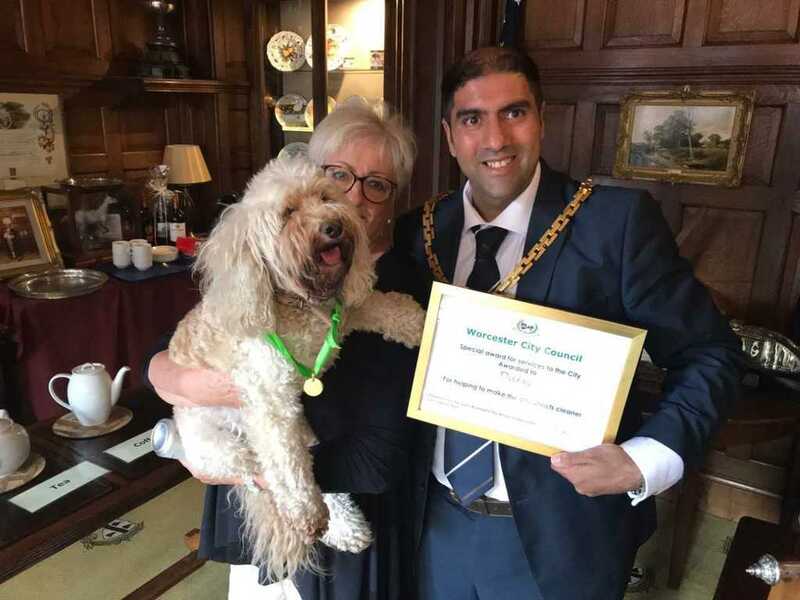 Hailing from the city of Worcester in the United Kingdom, Daisy has become the first dog to receive an honor from the mayor. Unlike other dogs, who love nothing more than picking up sticks, Daisy prefers sniffing around for beer cans, amongst other things. She carries them back home to her owner, Judy Owens, who then takes her pet’s offerings and recycles them. Owens, who is 70 years old, loves her dog and is so proud of her incredible work. She believes that Daisy has been retrieving trash for the last eight years, at least two times a day. This means that the pooch has brought home about 5,000 trash items in that time. Daisy has become something of a celebrity in her town, often known as the dog who helps get rid of all the trash. Then, the mayor of Worcester, Jabba Riaz, invited Judy and Daisy to come to his office. Upon arrival, Daisy received a mayoral seal, with the council recognizing her service to the local environment. 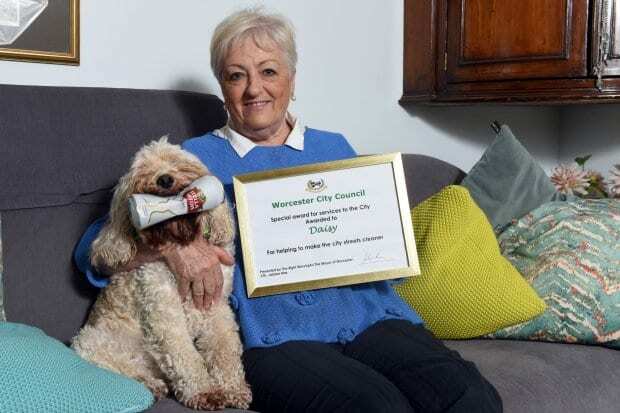 “When we arrived he told us that Daisy would be receiving the award because he wanted to make people more conscious of looking after the environment and to thank her for her contribution over the years,” Judy said.